It is no secret that I love books, and Katarina does, too. We’ve been reading together since she was born. In those early years, I did all of the reading, but once she was old enough to start sounding out her first words, she wanted her turn. Katarina doesn’t need me to read to her, not the way she did when she was two and three years old, brining me a stack of her favorite books. She can (and does - most of the day) read to herself. But there is still something special about reading a book together. Cuddling close, sharing a story, and taking turns reading chapters. Whether it is a book I remember fondly from my childhood, or a new book that she wants to share with me because it was SO good, I love that we can pass our books back and forth and talk about the stories we love. Today is World Read Aloud Day. Pretty much the best holiday for a lover of books. But it is about more than just books. WRAD was created by LitWorld, to motivate people of all ages worldwide to celebrate the power of words and create a community of readers taking action to show the world that the right to literacy belongs to all people. By raising our voices together on this day we show the world’s children that we support their futures: that they have the right to read, to write, and to share their stories. Yes! That is my heart right there. So when Staples asked me if I was going to participate in World Read Aloud Day, I couldn't say yes fast enough. They sent a World Read Aloud Day prize pack with books and craft supplies so we could read and create art about the story. It is basically the best week ever when both books and office supplies arrive in the mail. Just look at those HUGE drawing pads! They are almost as tall as Katarina. As I took my turn reading, Katarina got creative. And then I had to pause for a few minutes and add a little tree of my own, because there are few things better than being the first person to color with a brand new crayon. I looked up from the book, and Bilbo's house was taking shape. And before I knew it, there was a path leading to the mountains and adventure. We have plans for later today to use the construction paper to create a little Bilbo and Galdalf and maybe even a few dwarves to add to the picture. We might even keep going, and draw more scenes from the story later this week....because it is FUN! Making your own story illustrations, and representing the things that mean the most to you in the story, is a great way to open up a discussion. Would you like to add a little bookish fun to your day? 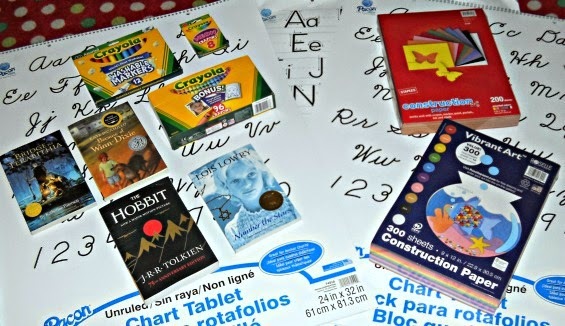 One of my readers is going to win a WRAD prize pack from Staples (ARV $50 minimum) with craft supplies and books. You might not get the exact same craft supplies I did, but whatever you get will be awesome. Plus, they will send books that are perfect for your child's reading level and interest. It was fun to see what they picked out for Katarina when her box arrived: The Hobbit, Because of Winn Dixie, Bridge To Terabithia, and Number The Stars. All great picks! To enter, leave a comment below telling me the name of your favorite book, or something you love about reading aloud with your kids. 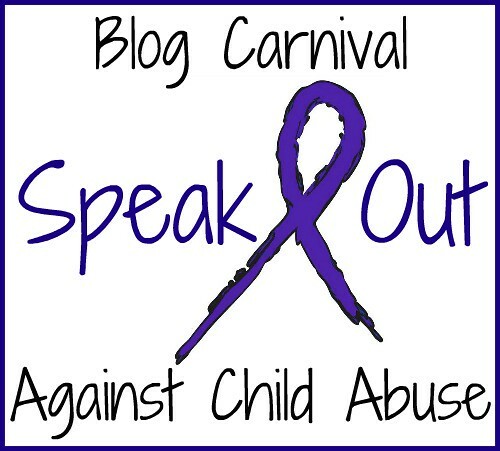 Giveaway ends on March 20, 2015 at 11:59 PM EST. Open to US only. 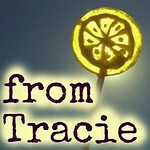 Winners will be chosen by random.org and contacted by email. Please respond within 48 hours or a new winner will be chosen. *This giveaway is sponsored by Staples. I was provided with a WRAD prize pack. I was not required to say nice things or dance around singing when boxes of office supplies and books arrived at my door. I haven't read out loud to my kids in ages now that they are older. I miss it sometimes. I love reading The Pirate School books with my middle son. He thought reading was agonizing until he found these books and now he loves it. We love reading as a family. I also enjoy audible books - I love being read to. Reading is so important! I had no idea there is a Read Aloud Day, but I am so glad there is! Nice package. Great way to celebrate the day. I am not sure if all my kids have read this yet. I need to reread it again so maybe this will be a good bedtime story book. When my boys were younger, I loved reading to them! Some of our favorites were the Berenstain Bears, Curious George and Little Critter series. They are independent readers now, but those times will always hold a special place in my heart. I love to read so this is totally my holiday. I love reading to my niece and nephews, because they love it. I am reading a chapter book series called Mandie to them. They don't fight going to bed when they know I'm going to read to them. What a great surprise, they sent some great books! Reading aloud to my kids was great because it gave me an excuse to read through the popular young adult books! 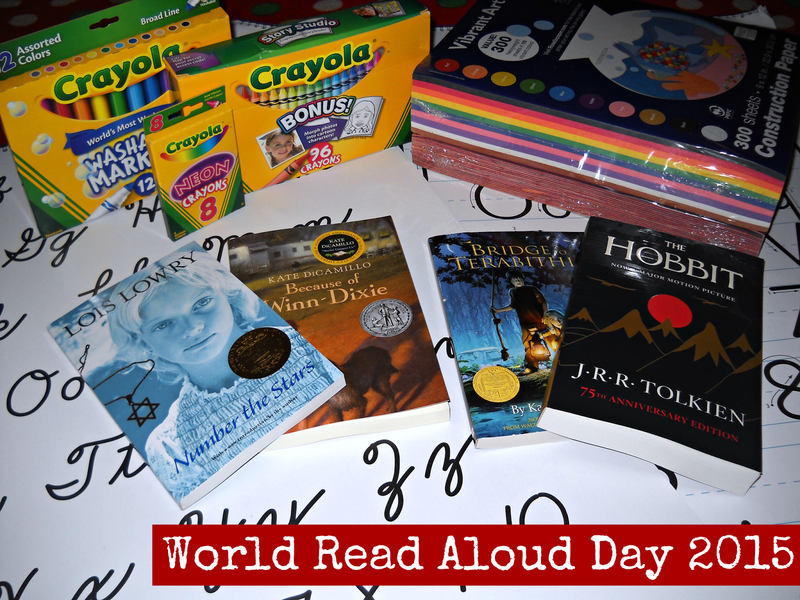 I had no idea that World Read Aloud Day was a thing! What a great way to foster a love of reading. We ALL love reading in our house. I miss reading aloud to my kids. 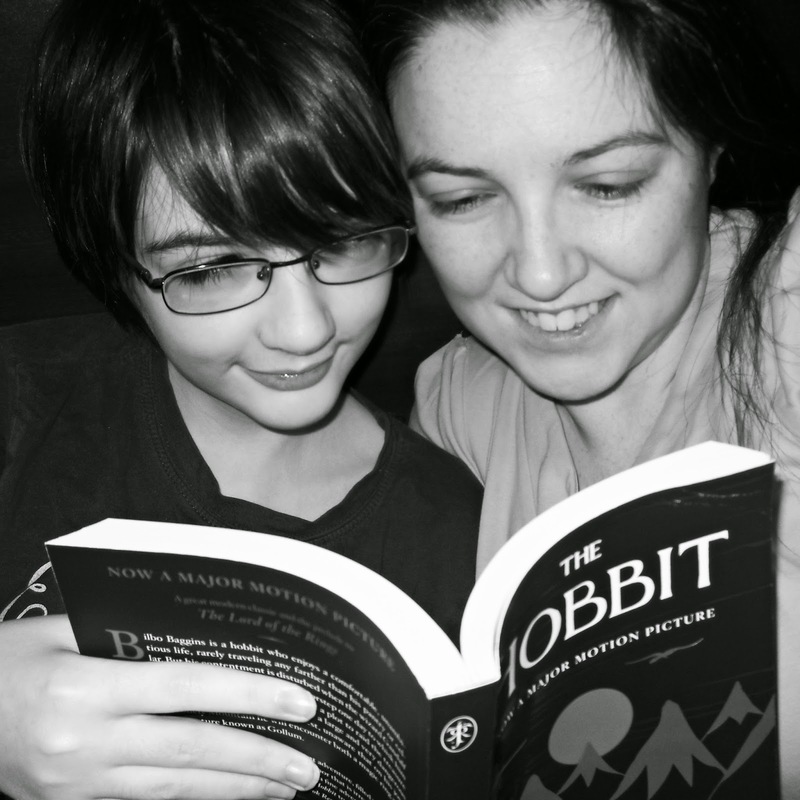 I read the Hobbit with my oldest, we loved it. 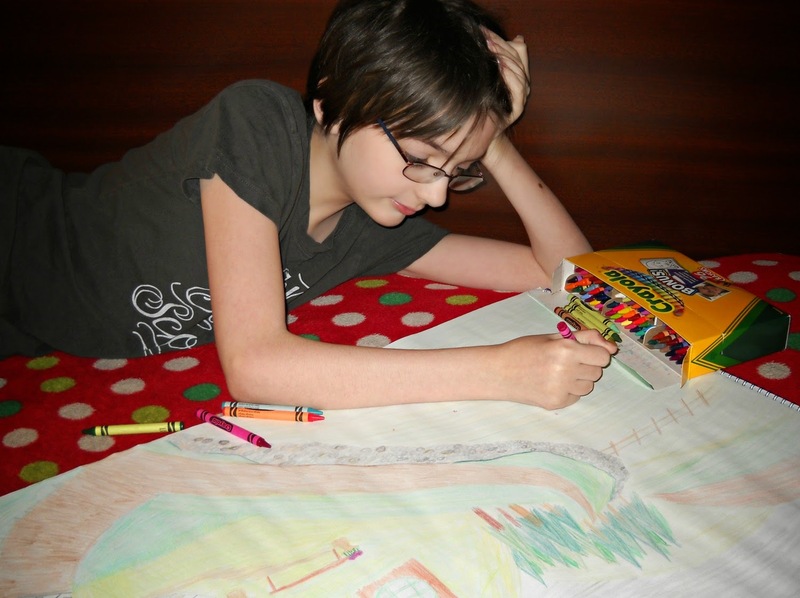 How fun to illustrate your favorite book! My oldest was "reading" (but not really) when she was just a little one. She'd be 2 sitting on the chair with a book upside down. Eventually she figured it out! :) But she has always had a love for books and she is now 16. I used to read to her every night and loved it. It was a special bonding time we shared. My two younger ones could care less about reading, but we read every day anyway. I especially love reading to my youngest who is ten now. I love reading my childhood favorites aloud to my kids and then watching them fall in love too! My kids loved reading "A Wrinkle in Time" and all the Rick Riordan books. A ton of action in those! We love reading Charlotte's Web. Great post! Bridge to Terabithia is one of my all time favorite books! I had no idea that there was a world read aloud day. Thanks for sharing that and what a great giveaway. It is so important to get kids to reading more and more. Reading aloud to our kids is SO very important. We honor the day in school by inviting guest readers into all the classrooms! It's really fun. It's so important to read out loud to your kids, and I can't wait to start chapter books too! Love your approach to reading out loud to your kids! 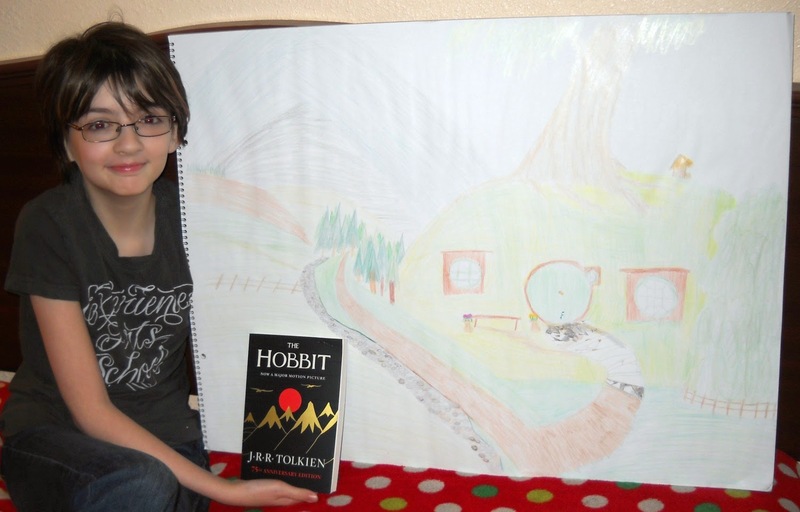 I have read Hobbit and Bridge to Terabithia to my son. We will have to check out Because of Winn Dixie and Number the Stars. I have always told my girls that book are our window to the world. They both loves books and my oldest will be off to University soon to study English and creative writing and mass communications..... Our favorite book to read together is The Giving Tree.... We love that one, even today. I like to read Harry Potter to my kids before bed. I love this idea. My kids read but I never thought to make a craft with the books. I really love reading aloud to my kids because its so fun to put emphasis on certain words. 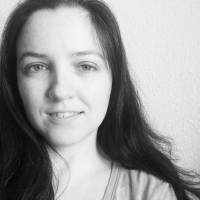 I love to see their faces light up with a smile and sometimes express a shocked or scared reaction to just the way your tone changes to get the point across with words. My favorite book is Flowers in the Attic. I used to read out loud with my kids and I always loved that we could discuss what we read afterwards. Some of my best childhood memories are those of my mom reading to us every night before bed, and now I love doing it with my kids as well! Right now we're reading Heidi together, it's one of my favorite times each day!! I love reading to my twin four year old because its creating a special bond between us! The plus is that the are identifying words on their own too! I love the classic fisher price flip books for the kids of that counts! I love reading aloud to my kids because it helps them learn the rhythm of reading and we can share in the adventures of a book together. I love listening to my kids read out loud as well. I love reading to my kids becuase they are amazed that books can tell such amazing things to them! They love to listen and point at the pictures! i love that they love to read! I use to read a lot to my kids but now they are grown, still bring back good memories. There was a book called Abiyoyo by Pete Seeger I use to read to them and sang a tune. I loved reading aloud to my kids, and now I read to my grandkids! It was so much fun when they started learning words, and they could read along with me. I always loved reading the Curious George books with my kids when they were younger. My all-time favorite book for myself is The Great Gatsby! I loved reading aloud with my kids and now with my grandkids. It's a perfect way to get them to settle down before naptime or bedtime. My favorite to read with my kids is definitely The Velveteen Rabbit! I loved it as a child and so reading it to them as a Mom is very special to me! My favorite to read with kids is probably Leviathan by Westerfeld. I have always loved Where the sidewalk ends. I enjoy reading fairy tales to my grand kids. A couple of our favorites are Little Red Riding Hood and Jack and the Beanstalk. Both my children favorite book to be read to was "The Lady with the Alligator Purse"
My son loves to read any books! He really enjoys Disney story books. He also enjoys Christmas books year round! My daughter love me to read the Grouchy Ladybug by Eric Carle. Our favorite book is Charlotte's Web! We've read it so many times! my favorite book as a kid was the Captain Underpants series! so good! We love to enjoy books together as a family. We read the entire Series of Unfortunate Events and loved that. We also read Harry Potter. I love reading to my Granddaughter, when I look back at pictures when she was young and she always had a book in her hand looking for a place to sit and read. We have always put reading to her a top priority. She loves me to read her Charlotte's Web when she comes over, but she has so many more at home she loves. My daughter reads to her every night and all in between. I read books to my students everyday.